Does the Cape May Lewes Ferry Take Motorcycles? The Cape May Lewes Ferry wants motorcycle riders to know that they do indeed take motorcycles aboard their ferries, and in fact offer discounts and "bike only" specials. The ferry began operations on July 1, 1964, and has transported more than 11 million vehicles and 34 million passengers since. It offers an 85 minute cruise, spanning 17 miles along the Atlantic Coast, connecting points along the Jersey-Delaware shoreline. It also runs routes to Maryland, Virginia, the Carolinas, and Florida. Motorcycle riders can take a break from riding and avoid traffic. Once onboard, riders can relax to the rocking of the boat while enjoying a meal with views of lighthouses and sealife amidst cool ocean breezes. Sept 10: "Roar to the Shore" in Wildwood, NJ: The Cape May Lewes Ferry typically offers a special motorcycle rate for this event. 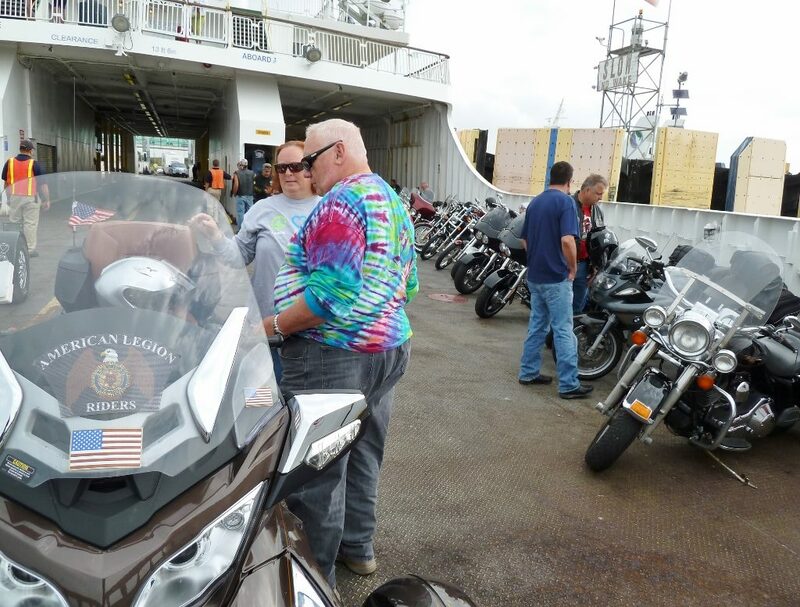 Sept 17, 10:30 AM: "OC Bikefest" in Ocean City, MD: The Cape May Lewes Ferryt offers motorcycle-only departures from Cape May to transport bikers southbound to Ocean City. Boats sell out and need to be reserved in advance. Sept 20: 12:15 PM: "OC Bikefest": The Cape May Lewes Ferryt departs Lewes, DE northboard to bring bikers back home. Boats sell out and need to be reserved in advance.